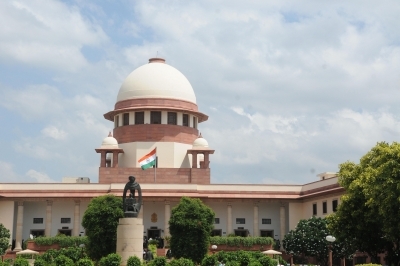 New Delhi, Oct 24 (IANS) The Supreme Court on Tuesday ordered the demolition of structures built near the Taj Mahal as part of an upcoming multi-level car parking. A bench of Justice Madan B. Lokur and Justice Deepak Gupta ordered the demolition, dismissing the Uttar Pradesh government’s application for axing of 11 trees to facilitate the project’s completion. 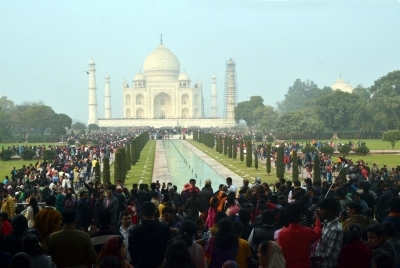 The multi-level parking project, one kilometre from the eastern gate of the Taj, aims to ease congestion in the area which led to parking of vehicles on roadsides in the absence of sufficient parking space. The project site, closer to the western gate of the 17th century monument, proposed to house 400 four-wheelers. The Uttar Pradesh government’s plea was taken up on Monday, with the court asking the state to file an affidavit by Tuesday. However, when the matter was called on Tuesday, the state’s lawyer was not present. At this stage, the court dismissed the state’s application and directed the demolition of the constructions already made. However, the court permitted lawyer Aishwarya Bhati to move a fresh application to seek restoration of the application dismissed on Tuesday. Bhati mentioned the matter in the evening when the court was rising for the day and sought restoration of the application, contending that the state government’s lawyer could not make it to the court because of rush in the court corridors. Bhati later said the plan for the multi-level parking was cleared by a court-appointed Committee on Environment, Taj Trapezium Pollution (Prevention and Control) Authority, Archaeological Survey of India and Agra Development Authority.